So... How is your week going? It hasn’t been so great for fantasy players whose teams included Ronald Guzman, Franchy Cordero, Matt Moore, Brian McCann, Alex Avila, Aaron Loup, David Dahl, Mike Clevinger, Jon Lester, Nate Karns, or Hyun-Jin Ryu. All of those players were placed on the 10-day Injured List (IL) on through Wednesday of this week, with injuries affecting hamstrings, forearms, elbows and knees. But seriously... According to the excellent website RosterResource.com, from the end of last season through the 334 games played until April 9, teams had already lost more than 2,600 player-days to injury. And that’s assuming that all the guys on the 10-day and 60-day IL guys come back in the minimum, which we know ain’t going to be the case for Clevinger, or Trea Turner, or Corey Dickerson, or Jake Lamb, or Ryan McMahon, or many of the other players ILed since Taijuan Walker, Kendall Graveman, Jesse Hahn, Julian Fernandez, Sean Manaea, and Johnny Cueto led off the Injured List season with Tommy John and shoulder surgeries. At the current pace, teams will absolutely shatter DL/IL levels from past seasons. In 2019, teams are on track to lose more than 40,000 player-days to IL stints. That’s an 18% increase over 2018, when teams lost more than 33,000 days, and up more than 20% from 2017, when teams lost almost 32,000 days. And keep in mind that a lot of playing time is lost to minor injuries that last a day or six but don’t send the player to an injury list. BaseballHQ’s injury analyst Matthew Cederholm, who does great work writing “The Big Hurt” column at the site, might have to up the frequency from three days a week to ... all seven. And maybe ask for combat pay. Now, to be fair, we should note that Troy Tulowitzki accounts for 20,000 lost days all by himself. But at this rate, by 2022, teams will lose slightly more than all their players to injury, and your phone might ring because your local big-league team needs you to start at shortstop. And who is getting hurt? Well, pitchers. They accounted for 54% of DL injuries in 2017, and 58% in 2018. So far this season, pitchers represent 62% of injured players. So loosen up—your team might call you to throw a few relief innings before you get that start at short. To cope, one of the new-ish ideas floating around in fantasy touting circles is to focus on organizations, with the idea that some are ahead of others in preventing player injuries and hastening recovery. Combining 2017 through 2019 YTD, the median was 41 DL/IL injuries per team. The teams to avoid would have been LA (with 57 separate DL/IL stints), TOR (53), TEX (52), LAA (51) and SD (50). The Dodgers, Angels and Padres? Were players on the DL with sunburn? On the other end of that spectrum have been three teams with 35 or fewer injury stints: CHW (33), DET (34) and CHC (35). What’s up with Chicago? 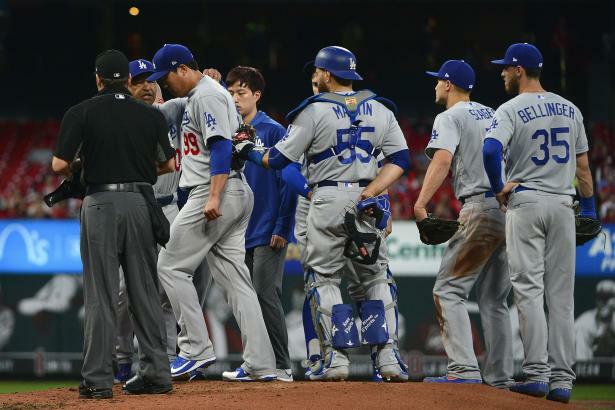 Again, to be fair, we have to note that the Dodgers might appear more injury-prone than they actually are because of their well-publicized shenanigans with their pitchers and the 10-day IL. But the White Sox training staff has long had a reputation as being ahead of the pack in injury prevention and management. Another way of looking at the situation is to count total days lost to injury. Over the last three seasons, the median per team is 110 days. The highest totals belong to SF (234 days), WAS (216) and, again, LA (155), with the lowest being ATL (53), HOU (60) and STL (70). So here’s the conundrum: For fantasy purposes, it seems like injury management could be as important—or even more important—than other facets of player projection. That is, we are getting better and better at understanding the core skills of players—velocities, angles, footspeed, spin—and maybe avoiding injuries (or recovering from them) might have to be assessed as a “skill” as well. To some extent, good projections systems already try to account for injury risk by adding risk measures, like the Mayberry risk levels at BaseballHQ.com, and/or by lowering playing time projections to account for the likelihood of time lost to injury. and 41 (29%) were not injured in either of the past two seasons. How can we draw a projectable inference from that? Put another way, 539 players had DL time in 2017, and 277 of them also got hurt in 2018. That’s 51%. Not so much a correlation as a coin flip. Of the 277 players with injury time in both 2017 and 2018, 52 have already been hurt this season. That’s 20%, and we’re not even 15% of the way through the season. It’s a challenge to project with confidence using those kinds of data. Perhaps there’s more to be learned by digging into the injury data in greater detail. I’m very curious because I think there might be an edge here, so I’ll be revisiting this later in the season and/or in the offseason. How well do injuries to particular body parts correlate more to future injuries, either to the same body part or in general? How granular do we have to be? Is “knee injury” enough? Or do we have to delve down into cartilage, meniscus, ACL, MCL, etc.? How does player age at the first incident of an injury correlate with future injury issues? Is there a “too soon back” penalty? How (if at all) do players’ recovery times correlate with recurrence or subsequent injury? How well do announced return ETAs correlate with actual returns? How real is the “team effect”? It’s plenty to chew on. In the meantime, I gotta go. Justin Smoak is day-to-day with a sore neck, and I should go oil up my first baseman’s mitt.